ULTRA FINISH is the best application you can give to your car. Why settle for less? The pictures on the right show how oxidation was easily removed in one step into a deep shine on an older car. Newer cars don't oxidize but can get contaminated with road grime and plain ordinary dirt. Most road grime is composed of small rubber particles from tires and road tar as you drive. 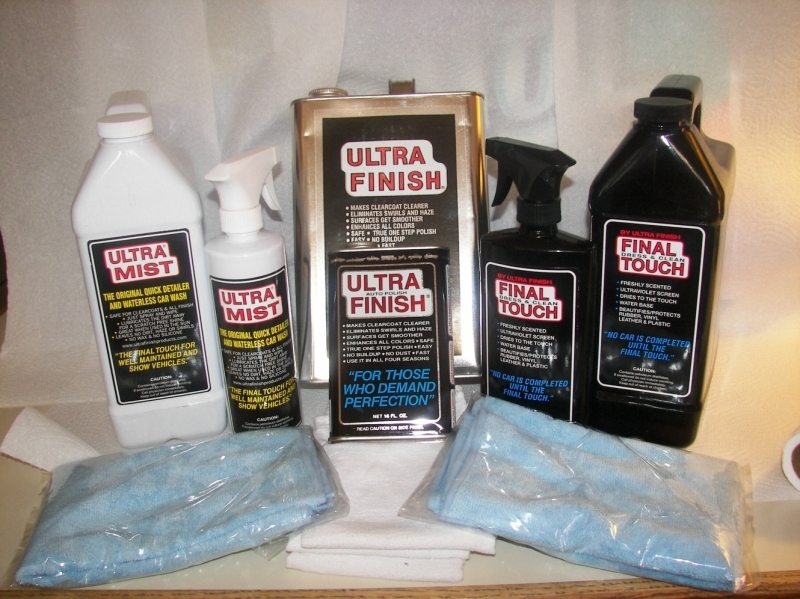 ULTRA FINISH contains no wax, silicon, teflon or abrasives and is safe to use. Cars today are factory painted with clearcoat, giving the paint greater protection to the colors from fading and prevent oxidation. It also gives protection against acid rain. There is no need to wax anymore. In one easy step you can enjoy a perfect finish that lasts. Try it yourself and you will become a life time user to the best polish. 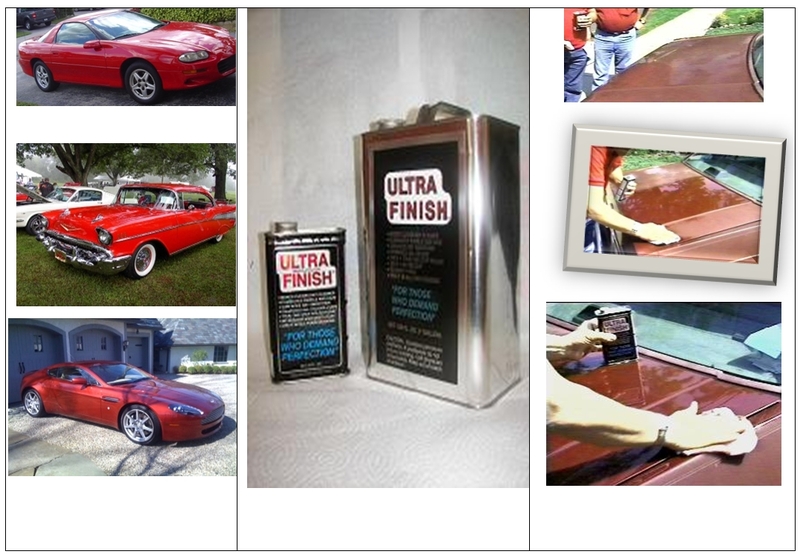 ULTRA FINISH has been sold SINCE 1984 to show car owners and every day drivers, that will exceed all of your expectations. Our price list has SPECIALS on kits that can save you money. We don’t sell a lot of products to make your car look great. We sell only the products that are needed to do the job. Try it once and you too will become a user forever. Copyright © 2018, ULTA FINISH PRODUCTS LLC. All rights reserved.